Before learning a language, you may learn about countries culture, behavior and social context. Understanding culture and behavior is understanding the language, you can not dissociate it. Hospitality in Brazil is the keyword. Brazilian people are very happy, friendly, helpful and they don’t let themselves down in any situation. When creativity is at stake, no one better than the Brazilians can seek a solution to their problems. Enthusiasm defines them. It is part of Brazilian daily life greet and say-goodbye to each person present. Don’t forget that it’s polite. Residential locals, like apartments, condominium, even if you don’t know a neighbor, say “bom dia”, “tchau”, when entering or exiting the elevator. Brazilians feel uncomfortable with the silence. When asking something, always say “por favor”. Always. Women kiss twice each other, if they don’t meet yet, once on each cheek. If the other person is already known, man or woman, they will kiss just once. Men kiss twice other women, but for other men, just a half hug or a handshake is acceptable. As I said before, Brazilians need physical contact when expressing themselves, during a conversation, being friend, they are close to each other, so touching arms, elbows and backs is very common and acceptable. Brazilians also stand extremely close to one another. Do not back away, it’s normal for their culture. The “O.K.” sign is not very used, cause can be considered very rude and vulgar (anatomy). The “thumbs up” gesture is always used for approval. Wiping your hands together means “it doesn’t matter.” or “I don’t care”. Clicking the tongue and shaking the head from a side to another indicates disagreement or disapproval. Furthermore Brazilians will do anything for friends. Relationships are really important. Meetings are conducted at a casual, unhurried pace. Engage a conversation if you want to make some new friends too. Besides Always remember that Brazilians like face to face communication. Presentations should be expressive and have some flair and also appearances count. Do not talk about work, schedules, appointments during holidays or festivals. Brazilians always give a lot of importance to holidays and vacations, for example. They want resting, partying, “churrascos” or traveling to shake stress out. Check all appointments. It’s common in Brazil people say “Vamos marcar um café qualquer dia desses”, “Vem me fazer uma visita qualquer dia desses”, and don’t schedule this meeting immediately. It doesn’t mean that they don’t want to see you, or enjoy your company, it’s just that Brazilians are not so literal on communicating sometimes. If they are busy or in a exhaustive routine, they certainly will forget to schedule properly the appointments. If you invite someone, don’t be disappointed if this person don’t confirm, that can happen. It’s considered rude to leave a party without saying good-bye. Always say “com licença” when you are leaving a dinner table or a round table conversation. People here always say “um beijo” or, “um abraço” on the phone of a phone call, email, notes, WhatsApp and all social media for those who you are close, not for everyone, ok? Brazilians loves to eat properly. Be prepared for lengthy meals (two hours or more for lunch). During meals they can talk about anything, work, entertainment, travels, family, soccer or politics, be prepared to talk when eating too. Brazilians talks a lot, they love talking. 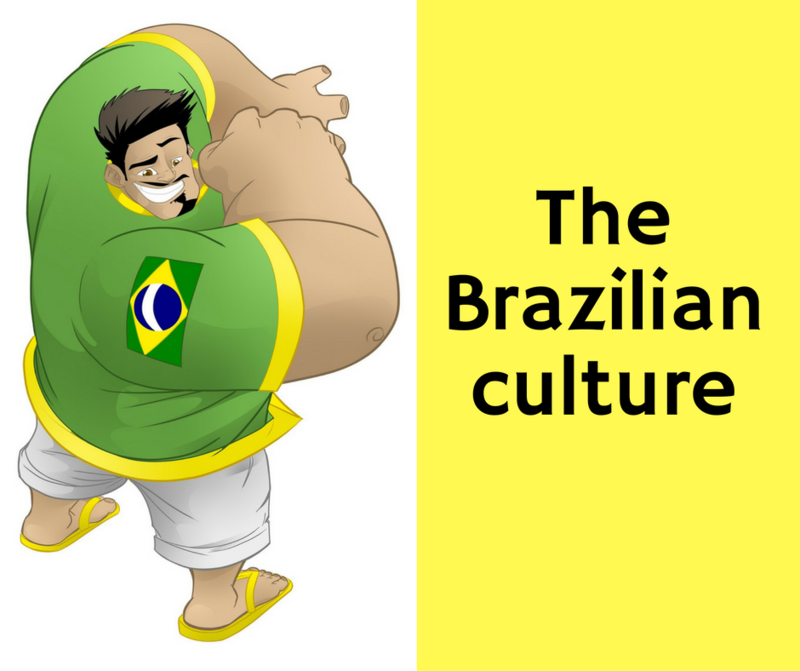 Brazilians are used to wash their hands before eating and rarely touch food with their hands. Use a knife and fork for most food and always use a napkin while eating or drinking. Using toothpicks in public is not acceptable unless you cover your mouth with your other hand. When inviting Brazilians to dinner or a party, you can suggest to your guests to bring food or drink. Do not expect them to arrive on time, and never indicate a time that the party will “end”, cause it will end when the music is over. Brazilians love music and dancing too. To beckon to the waiter, hold up the index finger of your right hand and say “Garçon”. To request the check, say “A conta, por favor.” Waiters don’t bring checks until they are requested. Appearance counts. Your clothing will reflect upon you and what you do. Brazilian women dress beauty in many situations, whether business, formal or casual. Shoes are stylish, polished and well-kept. Nails are manicured. Brazilian woman are very “vaidosas”. In business situations, men wear conservative dark suits, shirts and ties. Three or two pieces suits are used. Women should wear feminine dresses, suits and pantsuits and avoid “dressing like a man”, but some time they do, and stay very beautiful too. Brazilian’s weather can be very hot most part of year that’s why people sometimes dress comfortable and summer clothes, like shorts, flip flop (havaianas), tank top etc. Gifts are not important in establishing a relationship, and people won’t expect gifts in the first few contacts. A very expensive gift may be viewed as a bribe. Present a gift at a social meeting, or when you go to the first time at somebody’s house. Give whiskey, wine, coffee, books or flowers. Gifts for your counterpart’s children will be appreciated. Take flowers when visiting someone’s home for dinner. It’s not a rule but is kindness. Inherited wealth and a good family background are desirable. Brazilians are extremely casual about time. Being ten to fifteen minutes late in business is normal, and twenty to thirty minutes late is not unusual. Be on time for a formal meeting, but prepare to wait for your Brazilian colleagues. Soccer, family, Brazil’s beautiful beaches and the country’s rapid growth are all appropriate conversation topics. Politics, poverty, religion, Argentina (considered a rival country). The deforestation of Brazil are a problem that they want to solve. Personal topics such as age, salary and marital or job status are also unacceptable. Brazilians are expressive and passionate conversationalists. Be prepared to be interrupted and a fast talking. Don’t smoke in public. Federal law bans smoking in some public places. When it is allowed, there are a specific area for smoking people at bars and some places that are open, with fresh air. Don’t refer to Brazilians as Latins. “Machismo” (chauvinism) has become less common. The brazilian constitution provides genre equality and women are well-accepted and are prominent in education, medicine and journalism, as small business owners and so on. Women are also workforce in Brazil.